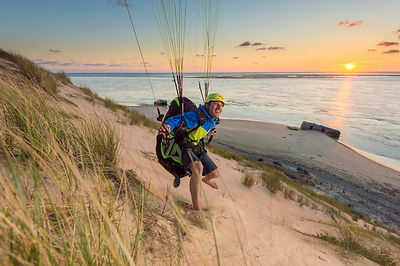 Dune du Pyla, Gironde, France...© www.TristanShu.com.FB: http://www.facebook.com/TristanShuPhotography..We fought hard to get all those shots at Dune du Pyla. At the time, conditions were far from perfect, and it was actually quiet cold temperature wise. 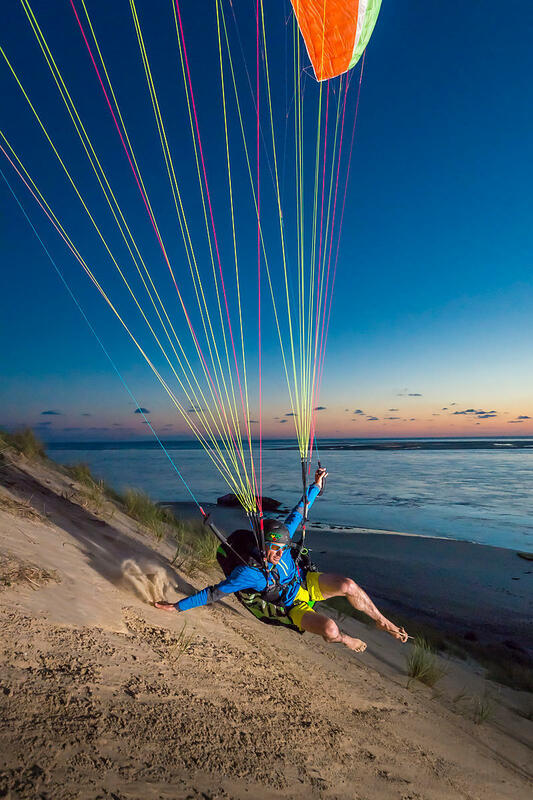 .The pilots went barefoot and in shorts, just because they knew it would look better for the photos. And they finished their days with scratches on their feet and bruises because of all the thistle around. You can see on Baptiste's foot a remain of a big spike that got caught up in his feet. Massive kudos to you guys, your incredible motivation made those shots. 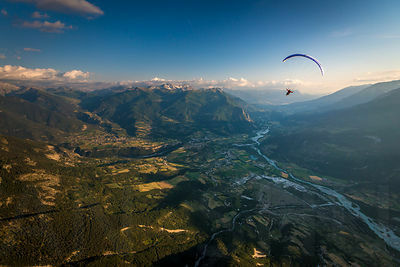 This one landed in the cover of the Parapente Mag who came out today.